My Blissful Journey: Vegan MoFo ~ Tacos OR Burritos? Vegan MoFo ~ Tacos OR Burritos? I can't believe that Vegan MoFo is on it's last 3 days! This makes me sad and also makes me wonder if anyone else will be suffering from MoFo Withdrawals? If that's the case let me know in comments because I am in the process of putting something together for those of us who want to keep in touch YEAR ROUND! Having said that...these prompts that are trying to 'force' me to make a decision are KILLING me! I'm a VERY Fickle Pickle, you see! 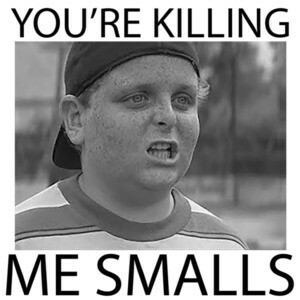 It's funny - tho - I have been saying "You're Killing Me Smalls" just for FUN and a throw back and pop culture reference. Does anyone else remember it? If so leave your thoughts in comments, too! I suppose I should actually BLOG about today's prompt, eh!? Well, following suit to my 'fickle-pickle-ness' I can't make up my mind I LOVE both Taco's AND Burritos! But what about Enchiladas? Quesadillas? Basically ANYTHING Vegan AND Mexican...I'm THERE! This past weekend hubby and I went to Mad Mex in Erie. I've blogged about my trips before and I have been trying to get something different each time I go! This time around it was a Veggie Enchilada but I veganized it with Daiya Cheese and Tofutti Sour Cream! The plate was HUGE and I couldn't eat all of it. It was served with rice and black beans. I'm so sad that Mofo is ending. It has been such an amazing experience! That burrito looks so amazing! I miss Mad Mex! They have a tofu appetizer called something weird, I can't remember but it is in this super delicious soy ginger type of glaze, and it is to DIE for! I'm looking forward to what yo have planned! I was thinking about having a Vegan MoFo Addicts Off Season Blog Roll of sorts so everyone who wants to join up can keep in touch - what do you think? 1- yes I will be missing MoFo!!! 2- I love when you mention my hometown. And there is a place in Erie that has vegan options? Say what? I went vegetarian when I lived there and it was difficult. Could it be that Erie is a whole new world? Erie is making steps! There are options, yes! I've heard there is an India place, too, but haven't been there yet, and there is the Co-Op Cafe, too! 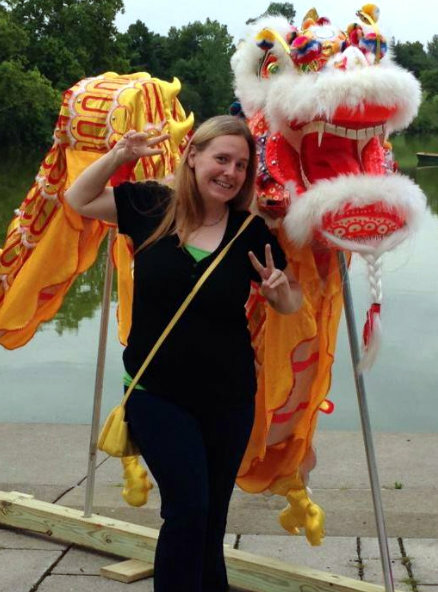 Erie SHOULD be having a VegFest in 2016 - I will be blogging about it if that's the case! Any chance you could make the trip back for it? I love vegan sour cream on Mexican food. So great that it exists now. Then I crave it on everything - I have made a few different ones and hope to again very soon! Much as writing all these posts has been knackering me out, I've been loving MoFo and I'll be missing it when it's gone. Also, Sour Supreme changed my life. Well, at least my Mexican food. That sounds great!!! Sour Supreme??? It's my 6th Mofo and it's definitely been one of my favourites and I think I've achieved my highest number of blog posts this year! That food looks yummy and I'm jealous you have the option to veganise. In England we just have to leave off the cheese and sour cream as there's never any vegan versions. Luckily there's still guacamole to add the creamy element to the dish. I hope we all keep in touch!!!! It did seem to fly by fast, this month has been a whirlwind. The enchiladas look great! Well, you had a bunch of EXCITEMENT this month with your trip(s) and all! But you totally deserve it!!!!! I wish I explored more blogs this year, but I guess I was a little busy. Maybe next year I won't aim for a post each day so I have time to read other blogs! XD But I usually keep everyone on my blog feeds so I can keep checking them out for the rest of the year. I hope to make a post-MoFo group to visit often if you want to use that you can too! And/or take a look at the one on my sidebar now for Vegan MoFo those are the ones I have been following and they usually comment back, too! Never heard the expression before - had to google to find out what it means. Another one I just got to know is "Sweet as", they say that in New Zealand. That's a lovely rice dish you've got there! It's from the Movie SANDLOT. I agree!!! LOVE IT! The plate was HUGE that is for sure! That's an enchilada I can sink my teeth into! Nice!! 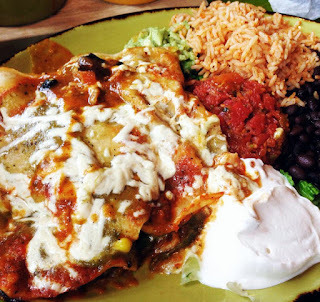 I was thinking of making enchiladas too...I actually like them better than burritos and tacos...these ones look DELICIOUS!